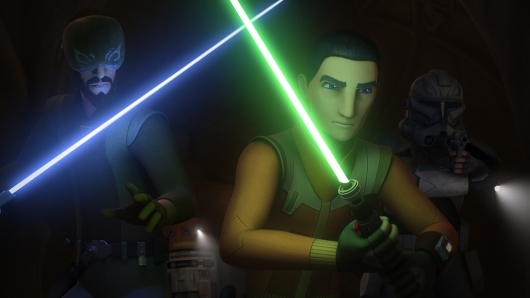 Lucasfilm has announced the release date for Star Wars Rebels: The Complete Fourth Season on home video platforms, as well as the special features that will be included in the release. Star Wars Rebels is a critically acclaimed 3D CGI animated TV series, produced by Dave Filoni and Simon Kinberg, set before the events of A New Hope. The series stars Taylor Gray, Vanessa Marshall, Freddie Prinze, Jr., Tiya Sircar, and Steve Blum. In the last year Star Wars Rebels was nominated for Outstanding Children’s Program at the Creative Arts Emmy Awards, and took the prize for best Best Animated Series or Film on Television at the 44th Saturn Awards held on June 27th. You can find all of the details on the home video release in the press release below. As a child of the ’90s, I fondly remember watching Disney cartoons from Tale Spin and Rescue Rangers to Darkwing Duck. But I imagine there isn’t as big a classic as DuckTales. The series has now been rebooted, since that is the norm nowadays, and it has managed to assemble quite a cast of comedians. From Danny Pudi, Ben Schwartz, and Bobby Moynihan, who will voice Huey, Dewey, and Louie respectively, to David Tennant who will voice Scrooge McDuck. Other talents include Beck Bennett as Launchpad McQuack, and Kate Micucci as Webby. We previously saw the cast sing the classic theme song, but there wasn’t much else. Now a new trailer has popped up online giving us our first look at the upcoming revival. Check it out below. It’s pretty clear when Star Wars Rebels and Rogue One: A Star Wars Story takes place, but even though we knew what was going to happen in the latter, no one could have ever expected it to play out the way it did. So how Rebels will eventually tie together with Rogue One is unclear. One thing is for sure, we will be seeing Rogue One cameos in Rebels just as we saw Rebels cameos in Rogue One. Until that time happens, we’ll just have to wait for season 3’s story to conclude. With the way things ended during the winter finale, fans are anxious to see what happens to Ezra and the rest of the Ghost crew. And Disney has released a new trailer giving us a look at what is to come. Check it out below. Recently we saw a teaser for the new DuckTales coming to Disney XD in 2017, but it didn’t show much. While we await a full trailer, eager fans will be excited to watch a recently released video. 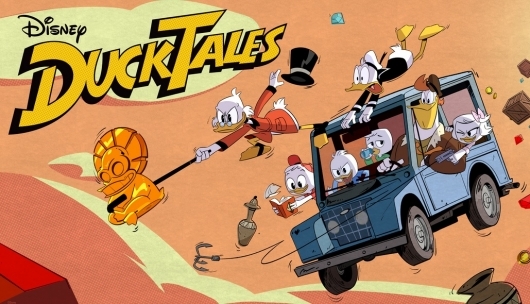 The video features the cast of the new DuckTales, including the new voice of Scrooge McDuck David Tennant (Doctor Who, Jessica Jones), singing the classic theme song. Tennant is joined by Bobby Moynihan (Saturday Night Live, Inside Out), who voices Louie; Ben Schwartz (Parks and Recreation, House of Lies), who plays Dewey; Danny Pudi (Community, Knights of Badassdom), who will be Huey; Kate Micucci (Garfunkel and Oates, Raising Hope), set to voice Webby Vanderquack; Toks Olagundoye (Castle, The Neighbors), who voices Mrs. Beakley; and Beck Bennett (SNL, Sing), as the new Launchpad McQuack. You can watch the cast sing the classic theme song below. Disney has released the teaseriest kind of teaser for DuckTales, a reboot of the classic animated series which originally aired from 1987 to 1990. The teaser doesn’t show a whole lot, but does feature a bit of a familiar tune, which might be enough to make watching it worth it. The video also shares a release window for the show, so fans can mark off on their calendars when to expect its arrival. Continue below to watch the teaser. 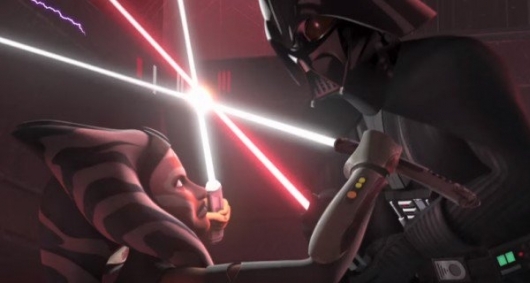 Those who tuned in yesterday to the Season 2 finale of Star Wars Rebels were treated to an epic clash between Jedi, Inquisitors, Sith Lords, and Darth Maul. 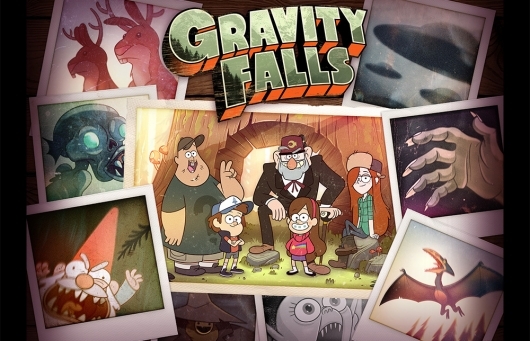 Geeks Of Doom was invited earlier this week to the hour-long premiere of the episode, where we sat with fans and journalists to get the low down on what exactly happened during “Twilight of the Apprentice,” and what could possibly happen next for the Disney XD animated series. Plus, we learned a few geek things that could pique your interest. 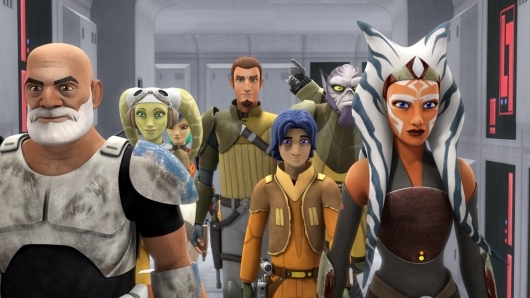 Check out here below what executive producer and creator Dave Filoni and executive producer Simon Kinberg had to say about the Season 2 finale and that future of Star Wars Rebels. Disney Animation Studios has had some major success in the past. Almost all of them have been recognized for their work by the academy whether it was because of their song or just being a damn good animated film. And almost all of them have been given an animated short or even better, a sequel. Last year, Tangled got a TV series on the Disney Channel, and Frozen‘s success was reward with a sequel and a musical. 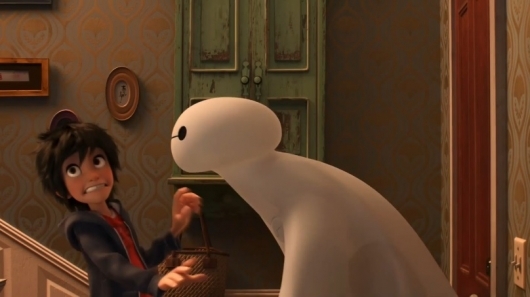 Now, it looks like Big Hero 6 will be getting the same treatment in terms of expanding the franchise. According to a new report, the film, which is a loose adaptation of the Marvel Comics’ title of the same name, have its own TV series that will debut on Disney Channel’s sister station, Disney XD. More on the story below. 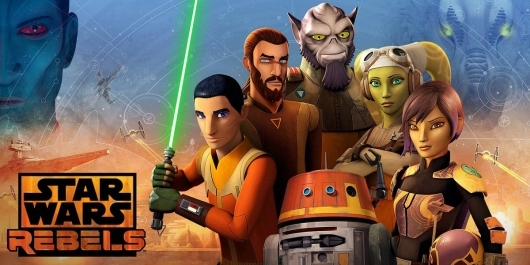 Star Wars Rebels unofficially kicked off its second season with the TV Movie Siege of Lothal that saw our ragtag band of heroes being forcibly removed from their home planet now that the Empire sees them as a real threat. Having sent out Darth Vader to deal with them, Kanan and Ezra realize they are clearly outmatched and are now retreating with the military that seeks to bring down the Galactic Empire. We were recently invited to screen the first two episodes of the second season – which brings back some Clone Wars fan-favorite characters like Rex – and sit down with fellow journalists to talk about the upcoming season with creator and executive producer Dave Filoni. Check out the full interview below. 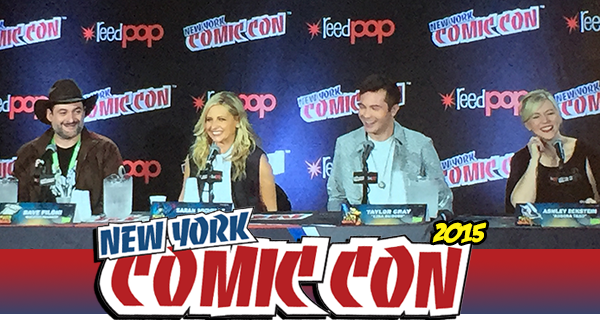 At the 2015 New York Comic-Con on Thursday, Star Wars fans had all their fanboy/fangirl dreams come true, when the Star Wars Rebels Season 2 trailer debuted at the panel, which saw appearances by executive producer Dave Filoni, along with the voice cast: Sarah Michelle Gellar as Seventh Sister, Taylor Gray as Ezra, and Ashley Eckstein as Ahsoka Tano, her character from The Clone Wars. See here below for more details from the panel, along with some photos of the stars.